Speak of China and we might be reminded of its authoritarian government, its communist past and its relative isolation from the rest of the world. We might also think about its economic boom of the last 2 decades as well as the increased in wealth of the middle class. Speaking of its people, I’m sure you’re well aware of the stereotypical Chinese caricature and their infamous behaviour. Let’s not even go there. My trip to China this year wasn’t my first. In fact, I’ve been there twice. 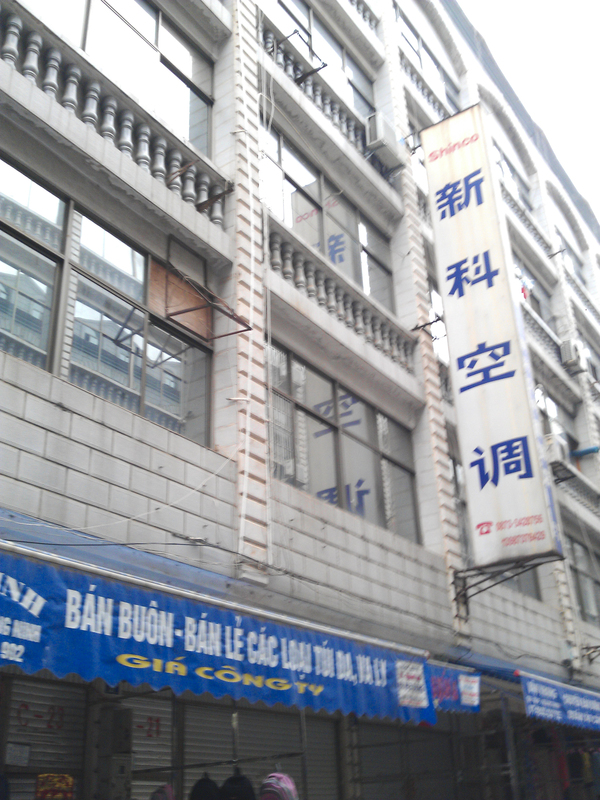 The first was with my family to the Psuedo-Siberian state of Harbin during Chinese New Year. Memories of that trip were vague other than the feeling of freezing right down to my balls. Bad experience and didn’t warm (Pun intended, heh heh) me up to the country. Then last year, my girlfriend went to Guilin and Yangshuo, where thankfully we had much better memories to bring home with. 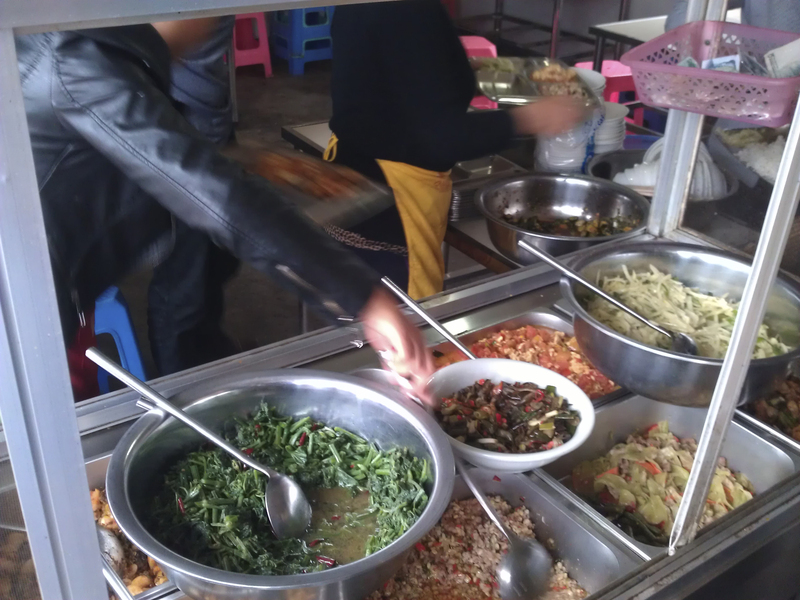 From Sapa I took a minivan to the border town, Lao Cai. I was expecting that they we drop me near, if not at the border. But instead, they dropped off the locals at the town centre and demanded for extra money from me and another Thai guy if we wanted to continue onto the border. There was another American guy, Beau in the van and apparently he paid his portion beforehand. Since I wasn’t familiar with the town, I thought it would be a good idea for the 3 of us to stick together while crossing the border. We paid up and the journey continued. Turns out the custom was only a 5 minute drive away. 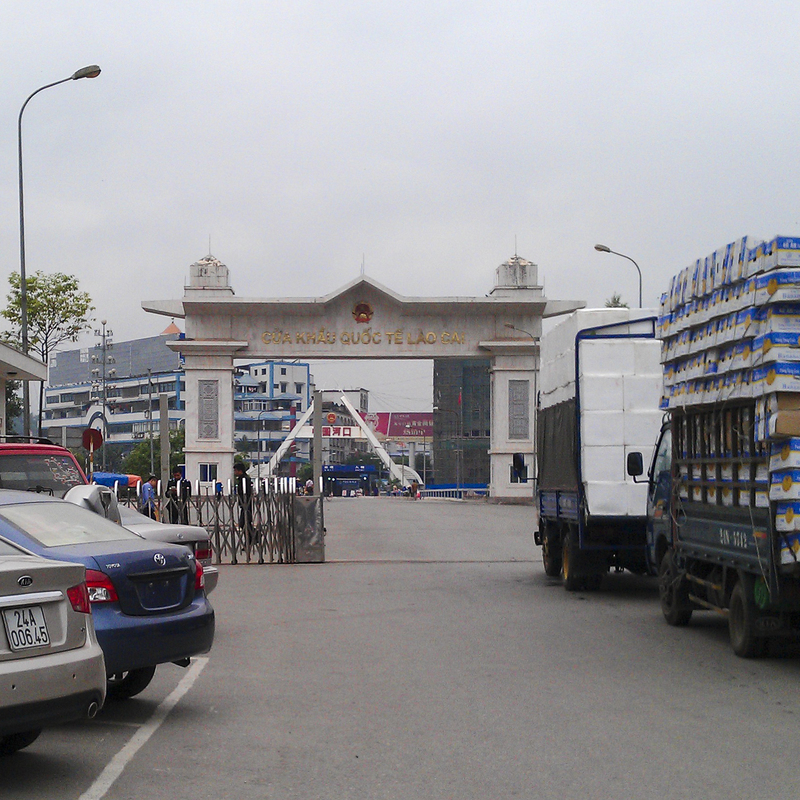 We had our passports stamped and walked to China as the China border town, Hekou was only separated by a bridge. There was a sizeable queue at the Chinese side. The customs check was surprisingly straight forward. They didn’t check our bags and even though they found oddities with my Beau’s name, they let us through within minutes. Neither of my new friends had Chinese Currency with them, so we had to hunt for a bank and money changer in the scurfy town. It was like a game of cat and mouse where we went from one bank to another until we found a useable ATM and money changer. 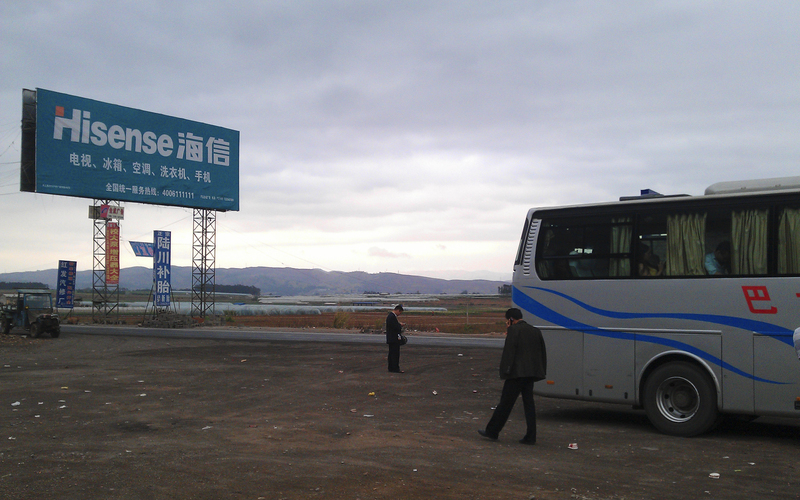 Once we were loaded, we took a taxi to the bus station to catch the 8 hour ride to the capital of Yunnan, Kunming. The Thai guy was a retiree and was doing a circular loop travelling from Thailand to Laos, to Vietnam, to Yunnan and finally back to his home. He was very worried about the language barrier in China as few could speak English. Although I reassured him that everything would be ok, sometimes I forget how hard it is for non native speakers to get around given that I could speak mandarin Chinese fluently. Beau, on the other hand has been travelling for 6 months in South East Asia. He was going to meet up with a friend in Kunming and hike some mountains together. He told me some travel stories and hitchhiking in Indonesia. Hitching has never crossed my mind at that point but hearing a first-hand experience warms you up to it. The ride took off from the station right on time. I mentioned how smooth the border crossing was but our bus ride was anything but. The bus was stopped on the road for police inspections, twice. Well, it didn’t need complicated: the police gets onto the bus, takes everybody’s IDs and passports, goes through them, maybe asks the driver some questions, returns the documents and then we are free to leave. We sat at the final 2 rows of the bus. The policeman came into our bus and took everybody’s IDs and passports. We then looked through the window as the policemen outside went through our documents. The atmosphere in the bus was tense. Few, if anybody were making any noise. In that split second we felt like a criminal. The 3 of us were completely stunned and I realized that the Thai guy was sitting behind us instead of the original seat. I told him to return to his seat. As the said policeman got onto the bus and marched towards us, I wondered if we did anything wrong and were going to spend the night at the station. In a country where the authorities are not to be messed with, it wasn’t a proposition to be considered at all. Once he was close to us, he snatched the Thai guy’s camera and went through his photos. Realizing that the poor guy wasn’t Chinese, the policeman asked if anybody could translate his questions. I offered my help. 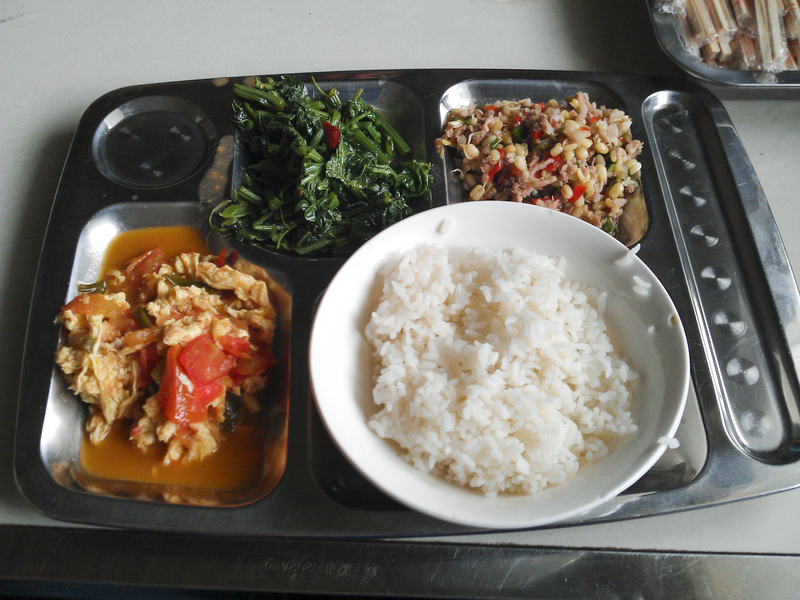 The Thai guy looked on blankly. He didn’t even have the chance to depress the shutter when he was shouted at. I nodded. We were lef off easy. Stories of police erasing the entire memory card was not unheard of. 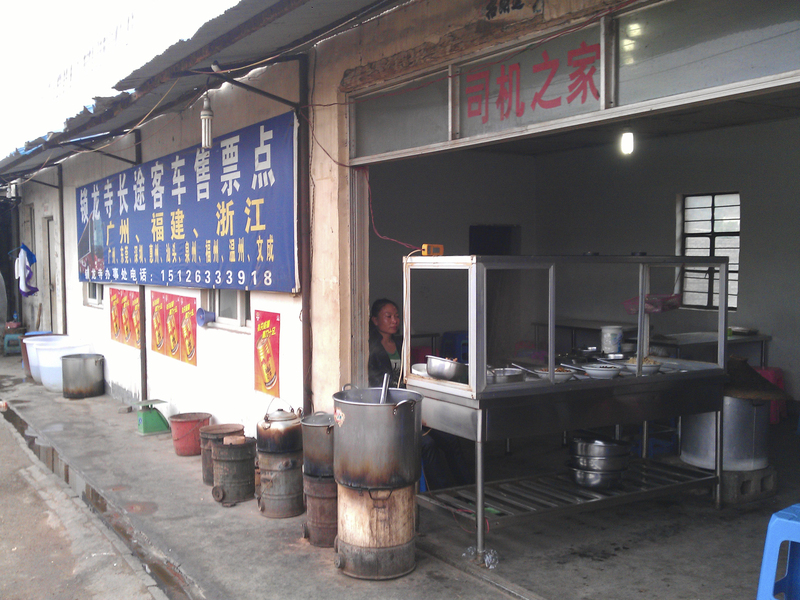 Thankfully after 2 checks, we continued onto Kunming without any hiccups. We arrived at Kunming late in the evening and it was chilly that we needed our jackets. Despite being a modern city, the city sits at around 1,800m above sea level. Beau was meeting his friend, Rob at a the Lost Garden Hostel and since the Thai guy and I didn’t have any place to stay, we tagged along. We only had a rough address and knew that it was near the Green Lake Park. We had to ask several locals for directions but eventually we found our way. The Thai guy and I shared a private room while Beau stayed at the dorm. Before we slept, the Thai guy told me once again that he was worried about the language barrier in China. I told him not to worry as there will be helpful people everywhere should he gets stuck somewhere. Truth is, I knew how difficult it was for a non-native speaker. Other than the touristy areas, not many could speak English. But I’m pretty sure he would get by. You could imagine how tired we were after a long day, I slept extra soundly that night.